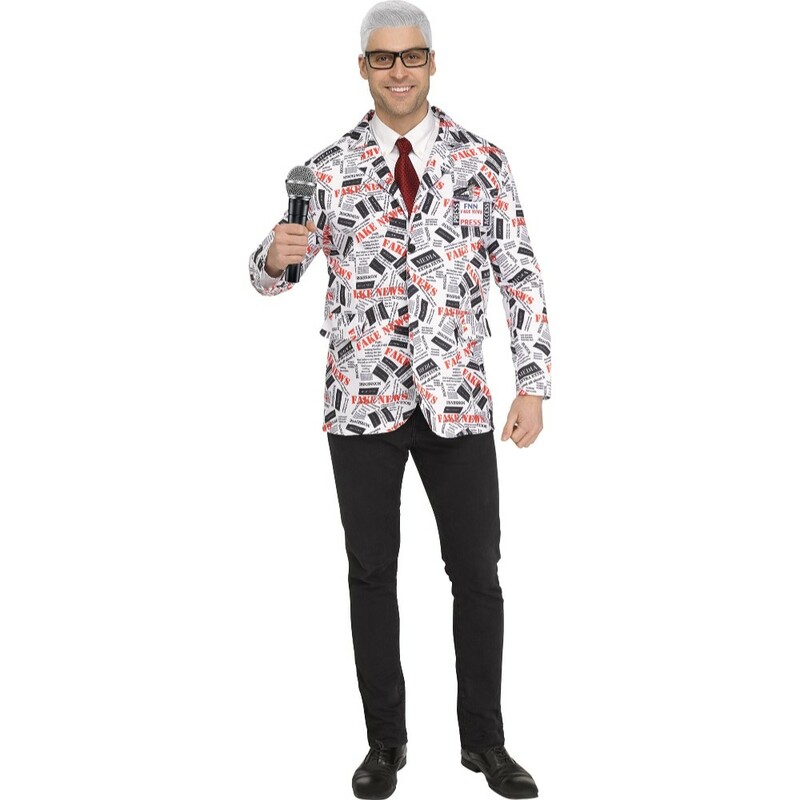 Get the facts straight this Halloween while reporting the news in this Fake News Reporter Adult Mens Jacket. Made of 100% polyester, the 2-piece adult men’s costume includes a costume jacket and name tag. 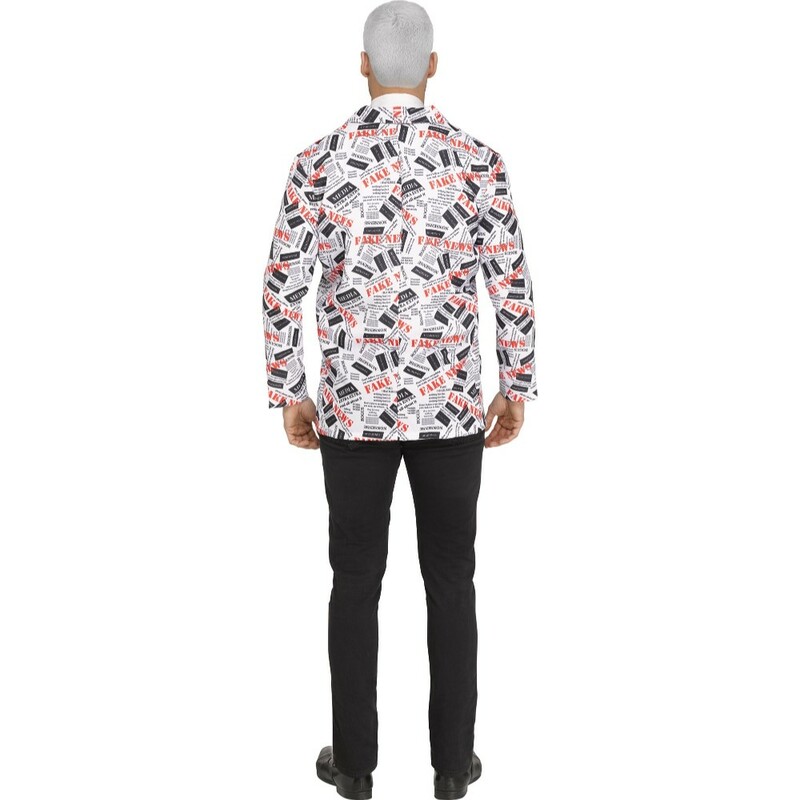 Cut like a blazer, the white jacket is decorated in red and black lettering with varying font sizes and styles. The jacket reads “FAKE NEWS, EXTRA EXTRA read all about it, NONSENSE MEDIA, BOGUS MEDIA,” and “FAKE HEADLINES.” Like the jacket, the costume name tag identifies you as a member of the fake news media, reading “PRESS ACCESS/FNN FAKE NEWS/PRESS”. Pair this Fake News Reporter Adult Mens Jacket with any Donald Trump mask for a funny costume this Halloween. Hand wash separately in cold water. Do not bleach. Line dry. Cool iron if necessary. Shirt, tie, pants, shoes, glasses, & microphone.